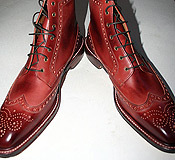 Our Goodyear welted made to order chukka boot(also known as desert boots)shown in rust color suede. Available in traditional or neapolitan toe. 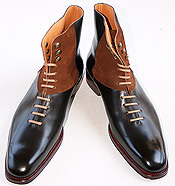 Our Goodyear welted made to order British style Jodpher boot shown in burnished tobacco calf. Available in traditional or neapolitan toe. 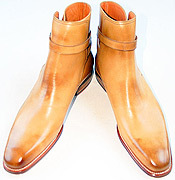 Our Goodyear welted made to order Chelsea boot shown in burnished tan calf with white outsole stitching. 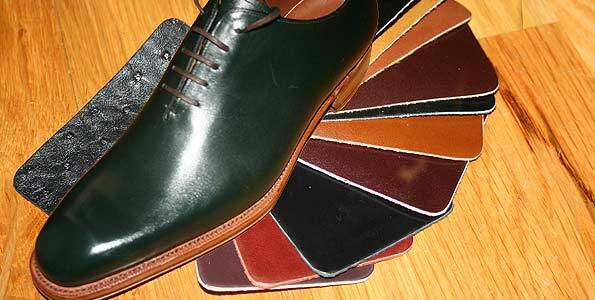 Available in traditionl or neapolitan toe.